With the onslaught of exciting trends in Machine Learning (ML) and Artificial Intelligence (AI), Plunify has started an initiative – AI Lab, to enable users to take advantage of cloud computing for their ML needs. http://ailab.plunify.com is our new web portal where trainers, educators, students, researchers and even enthusiasts can log on to launch pre-configured machines for Machine Learning courses and research. One of our first customers is the Singapore University of Technology and Design (SUTD). Partnering with V3 Technology – an official Xilinx partner, SUTD provides Machine Learning courses to students via AI Lab. Students can launch virtual machines in the cloud without having to set up or configure any software and hardware locally. This platform also alleviates the burden on education institutions to support the entire hardware and software eco-system. Through ailab.plunify.com, as a student, you just need to bring a simple computer that can run the VNC remote desktop client. So yeah, even a Chromebook will suffice. (If you cannot even run VNC, you might want to consider getting a new computer) After you login to AI Lab, simply choose the tools and machines you want and launch them. 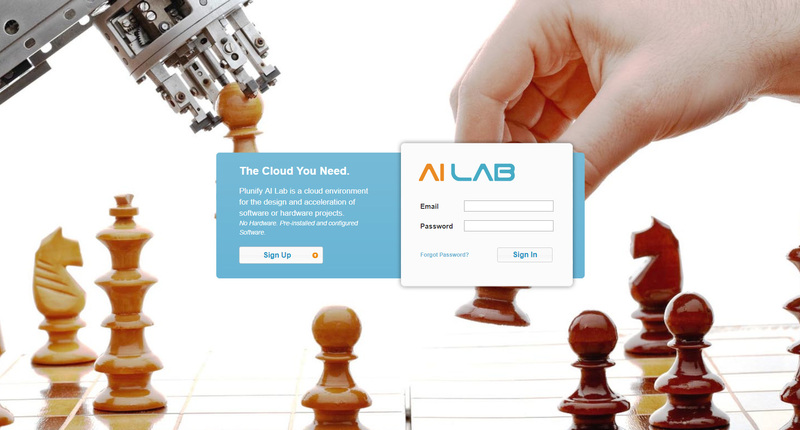 Currently, AI Lab runs on Amazon Web Services (AWS) but will be available on other cloud providers very soon. If you are a student/educator/training provider/researcher and is interested in doing this for your institution/lab, please feel free to reach out to us.